The IM ultimate frisbee season consists of a 2-week regular season, 1 game per week and a single elimination playoff tournament. The spring 2019 season begins Monday, January 28th and concludes in February. 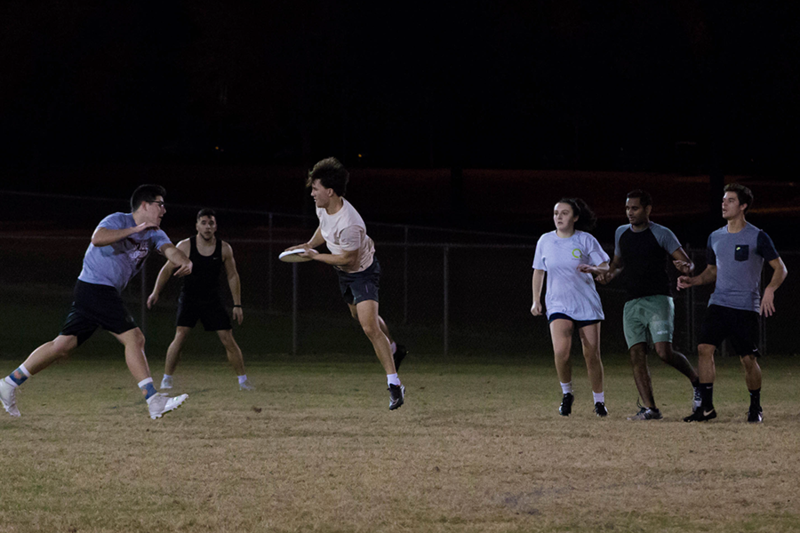 Participation in IM ultimate frisbee is FREE for all current FSU students. Valid FSUCard is required at check-in prior to each match. The team captain will select the team’s league/division preference and playing day and time at registration, on a space-available basis. Sign-up early in the registration period for the best availability. Games are scheduled between 7:00 pm and 10:00 pm on the days listed. Teams select their preferred playing day and time during registration. All teams with the required sportsmanship rating average (regardless of win-loss record) also advance to the postseason playoffs. View the sport rules and Seven Principles of Intramural Sports for details.